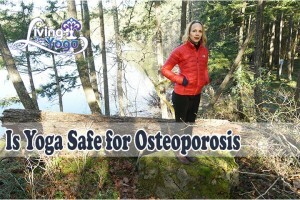 Is Yoga Safe for Osteoporosis? 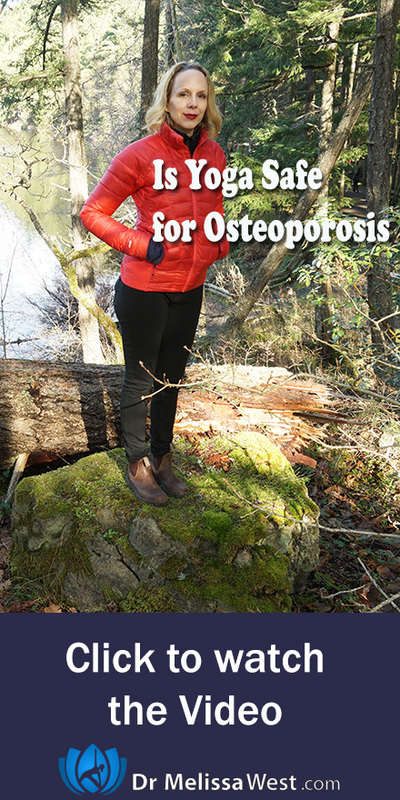 Hi — are the videos on your site safe for someone who has been diagnosed with osteopenia/porosis? That question ultimately needs to be answered by you and your medical professional. Please visit your doctor and ask your doctor. What movements can I do? What movements can I not do? Once you have this information then you will be able to look after yourself in a yoga class. I wouldn’t want you to make your condition worse. Perhaps a better way to phrase those questions would be: What movements will make my condition worse? What movements will make my condition better? That being said, we offer real yoga for real people. This is yoga that most people can do. Yoga can be a bone saver, but it can also be detrimental if it isn’t practiced correctly. For instance, in someone with osteoporosis, forward bending (flexion of the spine)—which is a big part of the average yoga class—can increase the likelihood of spinal fracture by excessively loading the front of the vertebrae compared with your back. Twists are another potential danger zone because they can put the spine in a vulnerable position. Some reclined twists are safer, that way, your spine is fully supported and elongated. Carol Krucoff, co-director of the Therapeutic Yoga for Seniors teacher training program at Duke Integrative Medicine in Durham, North Carolina, advises her students with bone loss against “end-range”or deep twists.” In other words exercise caution and be gentle even in reclined twists. At the beginning I gave Margaret a list of questions she could take to her doctor. If you would like a handy list of these questions that you can print out and take to your doctor, enter your email address below.